As it now stands, Canada’s licensed cannabis producers pay federal and provincial corporate income taxes. There are also sales taxes being charged on recreational cannabis at the retail level. In provinces like Saskatchewan that have sales tax levels lower than other provinces, an excise duty will be charged to producers to make the tax rate similar across all provinces and territories. There is also a federal excise duty of $1 per gram or 10 per cent of the price, whichever is higher. Twenty-five per cent of this tax goes to the feds and the remainder to the provinces/territories. The federal government has also decided that licensed producers (LPs) will pay an additional annual ‘cost recovery’ levy of 2.3 per cent on gross earnings. Over the summer, Health Canada held a 30-day public consultation on the levy, during which it received 108 online submissions, 18 written submissions and 755 form letters. In addition, the agency hosted four online information sessions with industry to explain the proposal and to answer questions. Health Canada says the feedback it received focused primarily on the timing of implementing the proposed fees, the design of the annual regulatory fee and the desire for additional service standards. What hasn’t changed from the proposed regulations is that Health Canada, to promote a diverse market with both small and large players, “will scale fees according to the size of the business and apply lower fees for micro-scale LPs. In addition, some classes of licences – namely those for research, analytical testing and hemp production – will be exempt from fees.” Those who produce, cultivate and sell cannabis exclusively for medical purposes are also exempt. However, due to the feedback it received, Health Canada says it modified the levy to use the previous year’s gross revenue to calculate the fee rather than forecasted gross revenue. 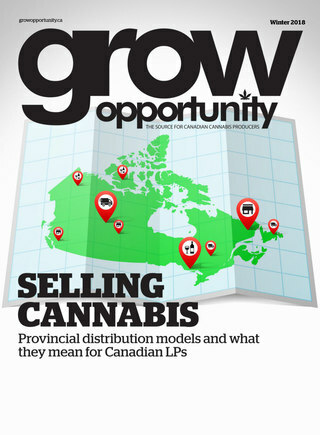 Allan Rewak, executive director at the Cannabis Council of Canada, reports that while the industry had long anticipated some sort of cost recovery and was part of the consultation process, it didn’t anticipate the gross income aspect and that the levy would be applied in year one of recreational legalization. The province of Manitoba is not applying provincial sales tax to recreational cannabis sold in the province. The Manitoba retail sales tax of eight per cent does not apply to the sale of non-medical cannabis. Manitoba is the only province to exempt its sales tax from non-medical cannabis with the intention of keeping prices as low as possible for this new market. Manitoba Liquor and Lotteries (MBLL) will apply a wholesale markup of $0.75 per gram on the wholesale price of non-medicinal cannabis at the distributor level, as a placeholder to the provincial share under the Canada-Manitoba Coordinated Cannabis Tax Agreement. The MBLL will also apply a nine per cent markup on the wholesale price of non-medicinal cannabis, also at the distributor level, consistent with the approach of other provinces imposing markups in addition to the federal cannabis excise tax. However, a ‘Social Responsibility Fee’ of six per cent of annual revenues on recreational cannabis sold at retail will be applied, effective in 2019 and first payable in June 2020. A provincial media relations spokesperson states that this fee is being applied because legalization of recreational cannabis will include various public education, safety, enforcement, health and addictions costs that fall almost entirely to the provincial level of government. The fee will ensure all provincially-licensed cannabis retailers share in these costs. Public education campaigns have been released and others are being developed about the dangers of impairment (related to vehicle operation, the workplace, etc. ), the increased safety of regulated and licensed products versus illicit products, the consequences of consumption and excess consumption, how to identify legal product, how much cannabis can be purchased, what remains illegal, and so on. Rewak thinks it’s positive that the government of Manitoba has exempt recreational cannabis from provincial sales tax in an effort to keep prices as low as possible in the new legal market. However, he believes that similarly to the federal ‘cost recovery’ levy, Manitoba should let the market mature before it imposes its Social Responsibility Fee. First Nations in Manitoba won’t be exempt from the Fee and at least some of them are far from happy about it. For example, Chief Christian Sinclair of the Opaskwayak Cree Nation in Manitoba told APTN (Canada’s national Aboriginal media service and TV network) earlier this year that this was “a shameful approach” that “disrespects our nation-to-nation dialogue.” The Opaskwayak Cree and three other First Nations have now opened retail cannabis locations in the province in collaboration with NAC’s retail business Meta Cannabis Supply Co.